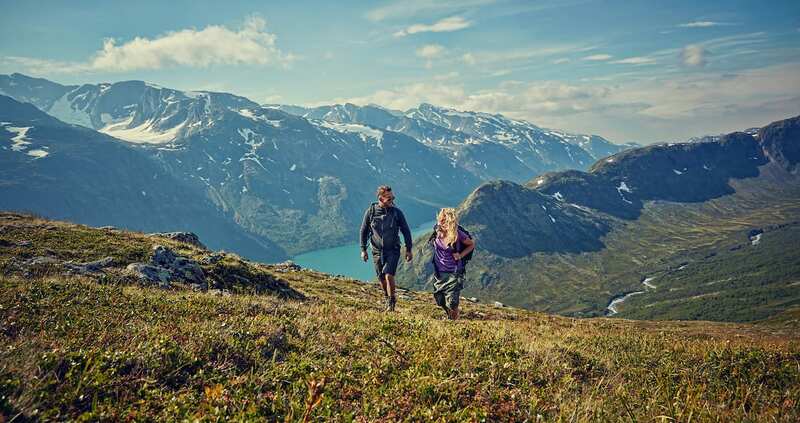 Hike the historic route through the Jotunheimen National Park, and head west towards the beautiful and iconic fjords of Norway. 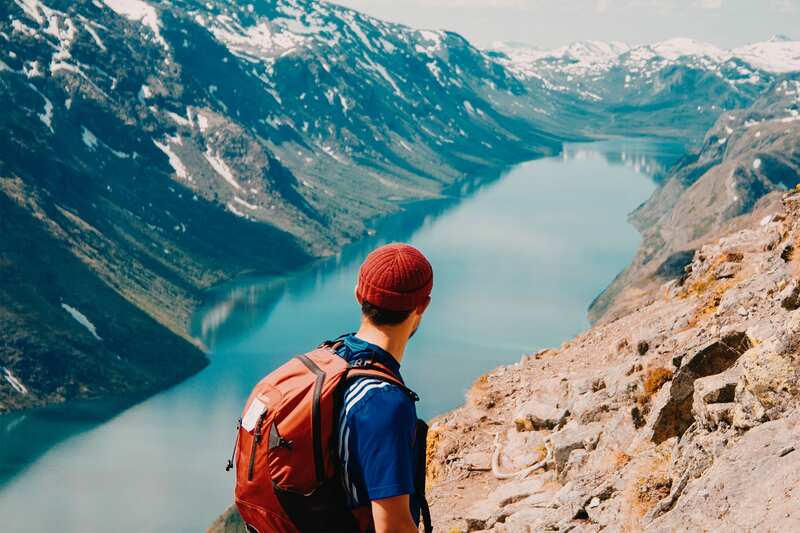 Explore some of the most iconic and world renowned mountain passes of Norway , and take in the stunning viewpoints of the fjords. 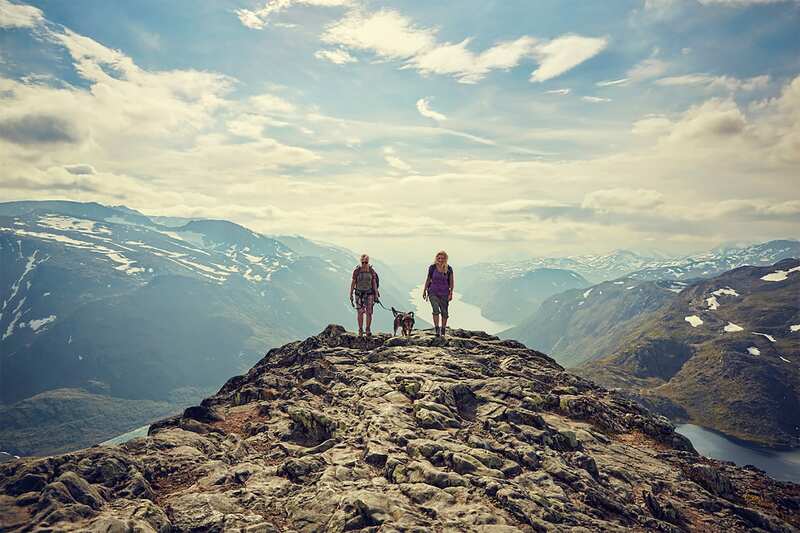 For over 150 years, there has been a trekking culture and love of natural beauty in Norway, and with our expert guides, we will become a small part of the story. 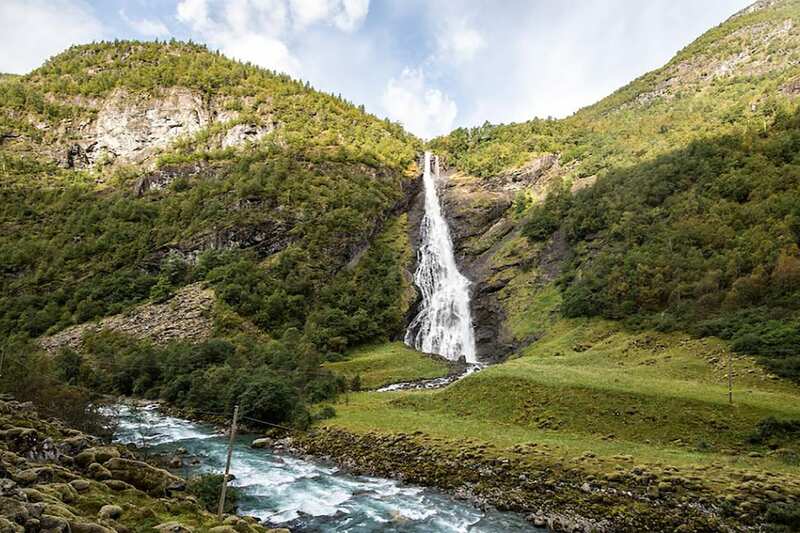 This is truly an incredible chance to dive deep into culture, history and the unmatched natural beauty of Norway. 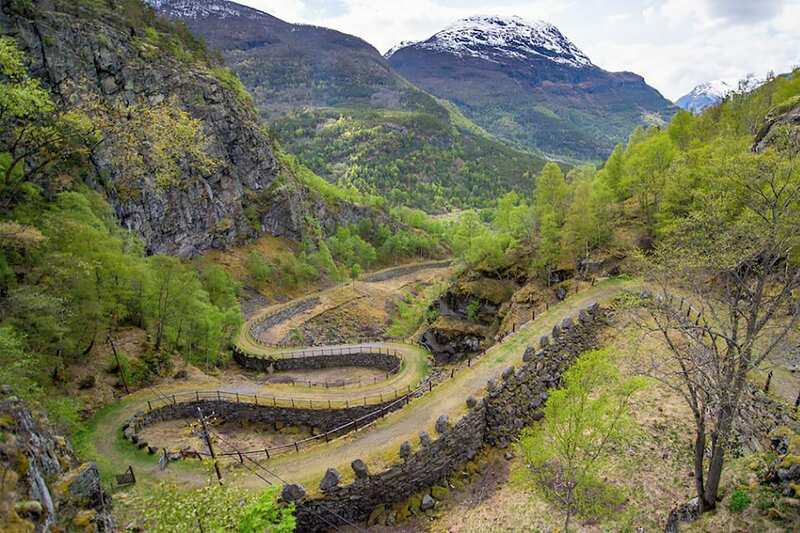 This morning, we will be hiking a trail known locally, and the world over for its dramatic beauty- Besseggen. 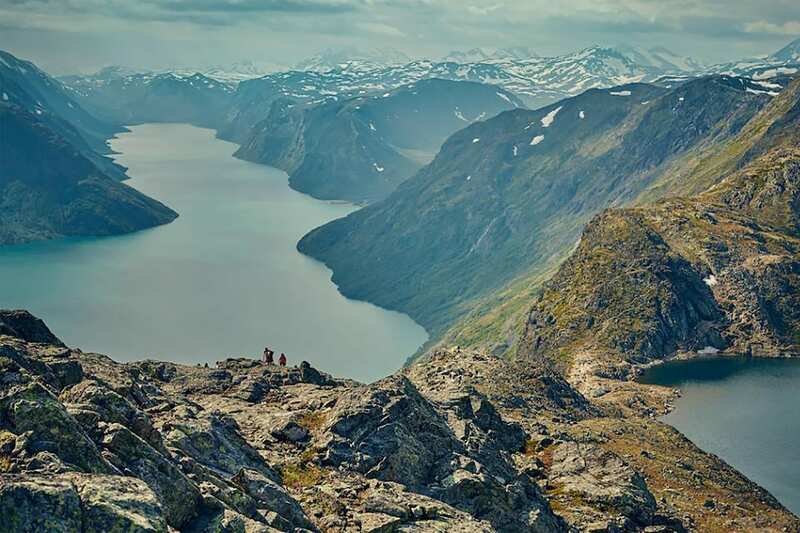 Besseggen is famous for many reasons, but most of all for its dramatic ridge that is the most incredible place to take in a view, and snap a photo. 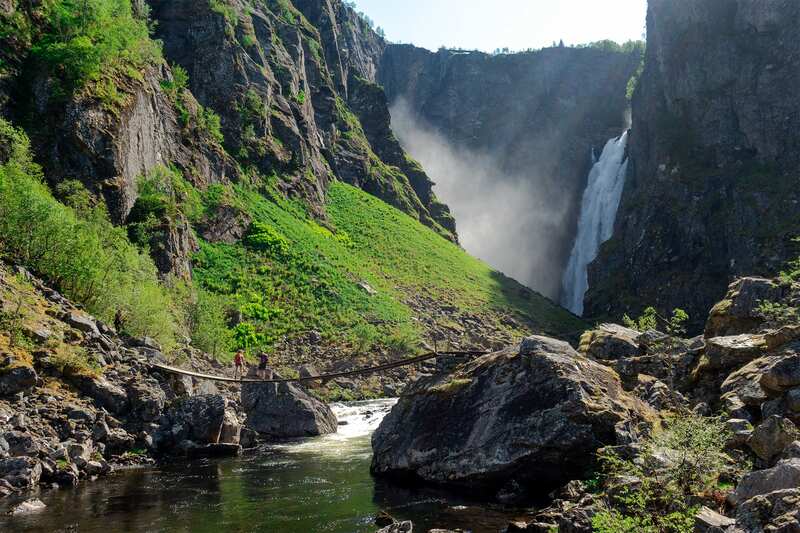 It is truly mesmerizing, and one of Norways most popular hikes in the entire country. 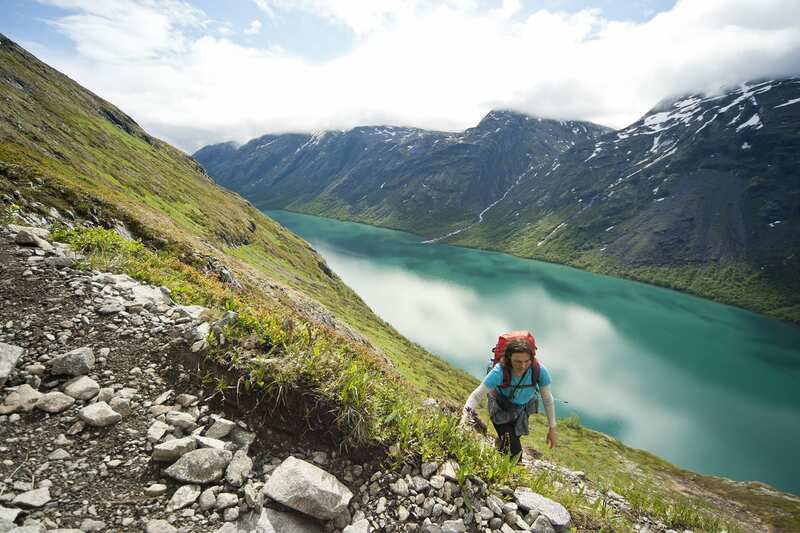 Some would argue that it is a must-do hike for all Norwegians, and today is your turn. Besseggen is a highlight, absolutely. Though when most folks stop there, our trip continues further into the National Park. 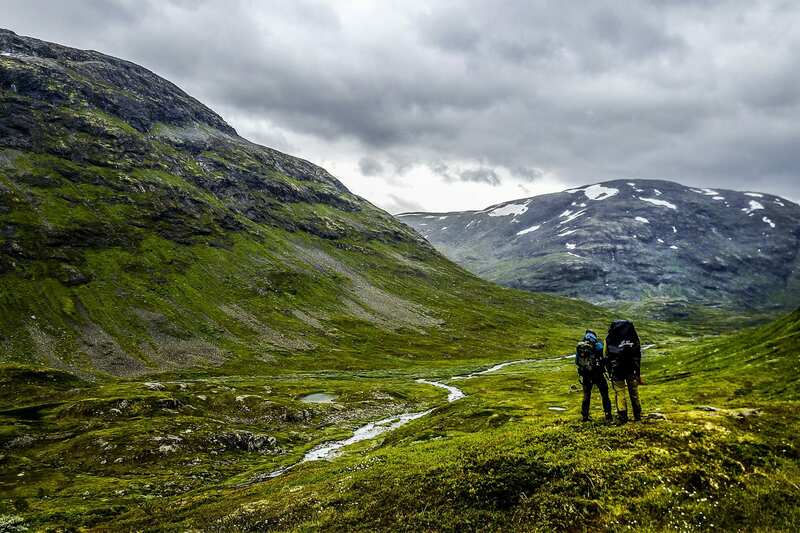 Today we will hike the mountain Bukkelægret, a hike that is comparable in its beauty to Besseggen. There are some short scrambling sections, but no more challenging than what we have already experienced our previous day. In general, it is enjoyable and moderate hiking terrain. This area is known for its various mountain wildflowers of blue, green and yellow that contrast wonderfully to the rugged mountain terrain. 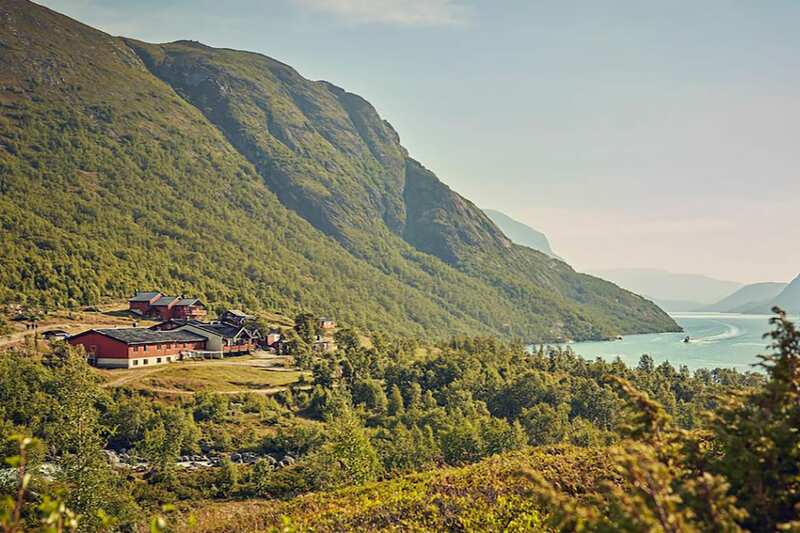 In the evening, we will be served dinner at Gjendebu Mountain Lodge which is the oldest mountain lodge owned by the Norwegian Trekking Association, established in 1871. Today, after a filling breakfast, we begin our day's adventure to the Kings Road. Again we begin another adventurous day with a healthy, and filling Norwegian breakfast. 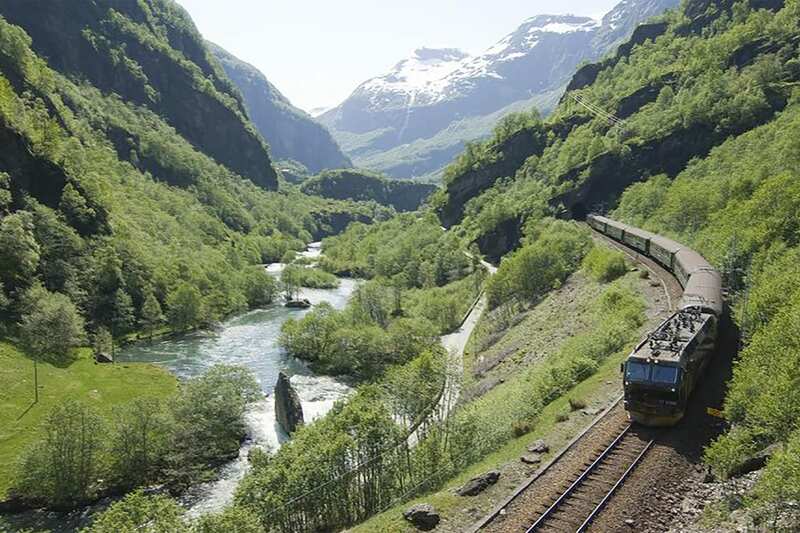 The first section of our day will take the group on one of Norway's national Scenic Routes. 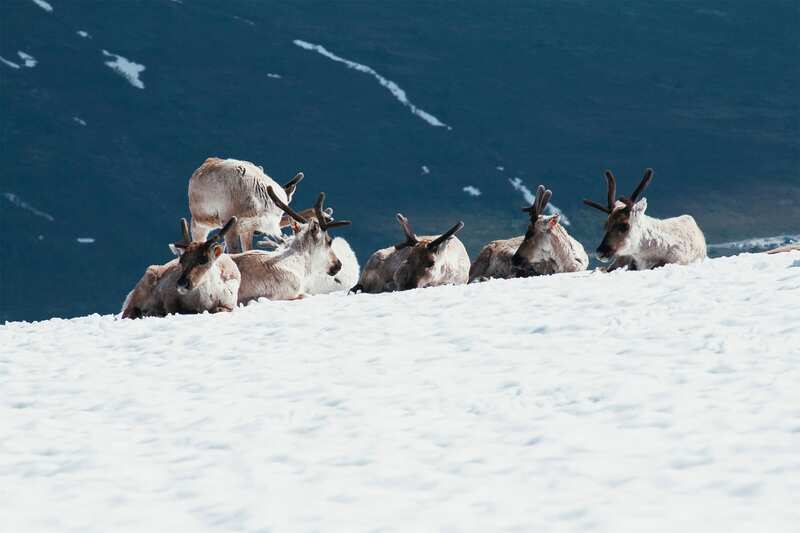 Norway is all about pristine, epic and dramatic nature, and so too is Stegastein. 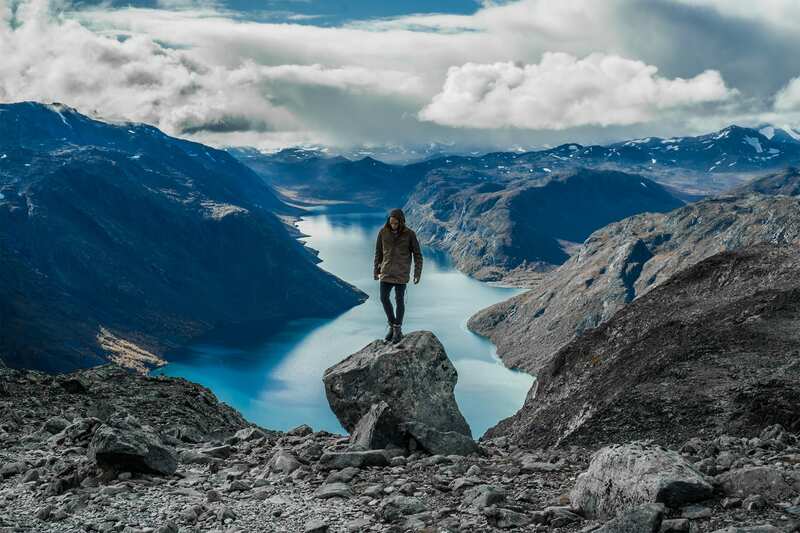 This is one of Norway's most iconic viewpoints, and today the group will have our chance to capture this moment in our memories and photos. Our final day starts with yet another lovely breakfast together.